The Village West Area is booming with lunch and dinner options galore, but an early morning meal might take a little more seeking. For early risers and those looking to grab a quick bite that still tastes like it was made in your grandmother’s kitchen, Perky’s Café offers full breakfast specials for less than $7. Homemade biscuits and gravy, eggs benny and gooey cinnamon rolls are among the favorite choices. Bar and grills don’t have to be saved for game day! Danny’s Bar & Grill is a local hangout that boasts portions to satiate your ravenous hunger with specials like Big Mama’s Breakfast Sandwich, with all the classic breakfast fixings served on two slices of Texas toast. Located just minutes from Kansas Speedway and Children’s Mercy Park Danny’s is the perfect spot for some pre-match/pre-race celebration. Tucked away just a few miles west is the quirky Bonner Spring, KS. Bonner’s downtown has become a hot spot for thrifty shoppers over the last few years, with boutiques sprouting up like wildflowers on its main street. But a day of style-seeking must be prepped with the proper fuel. That’s where Third Space Coffee comes in. 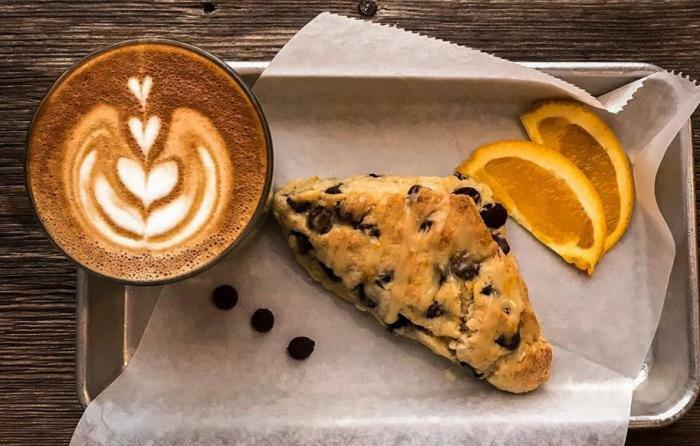 You’ll feel right at home in the cozy and spacious spot that offers seasonal caffeinated concoctions, artisan pastries and an array of breakfast and lunch dishes. It can be hard to find a common ground when it comes to eating with both adults and children, but Fritz’s Railroad Restaurant has appeal for every generation! 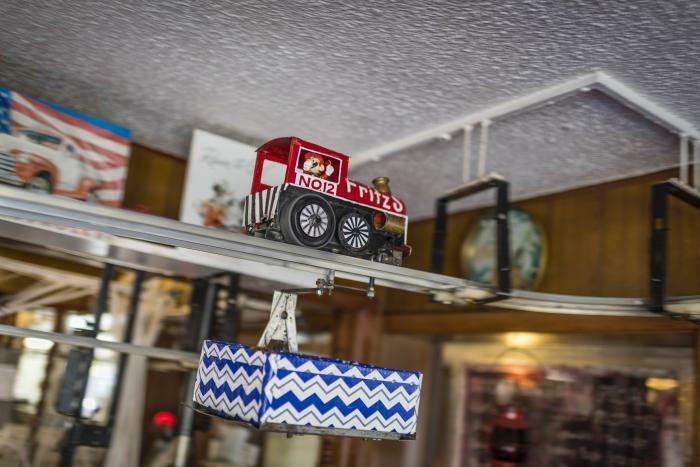 Forget about tablet time while you await your food, Fritz’s décor is entertainment in itself with miniature trains chugging along in a loop overhead. Enjoy old fashioned breakfasts, coffee and all your diner delights at a classic KC staple. The Mockingbird Lounge in the hip and historic Strawberry Hill Neighborhood is home to some serious brunch items, including their most-highly coveted chorizo waffles. 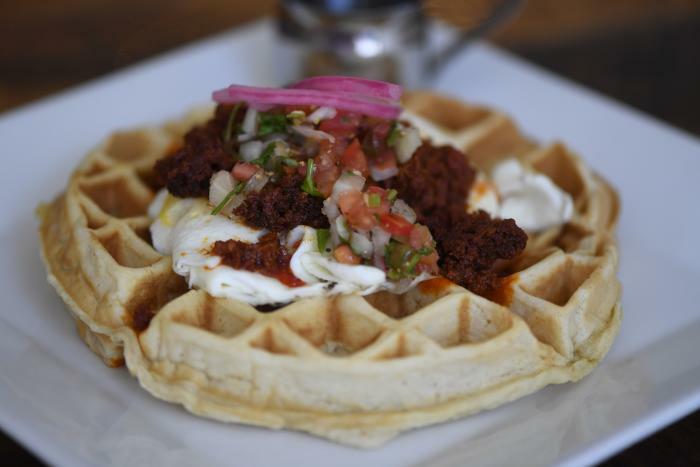 Locals and travelers alike share in a love for Mockingbird’s homemade buttermilk waffles topped with an egg, spicy chorizo, pico and a side of maple syrup to top off the savory with something sweet. Make it a slow morning on Mockingbird’s patio overlooking the KC skyline with bottle of champagne and carafe of O.J. special for some make-your-own-mimosas. It seems Kansas Citians can’t get enough of Jarocho Pescados y Mariscos – and for good reason too! Chef Carlos Falcon has brought some of the best coastal cuisine right here to the heart of the Midwest. 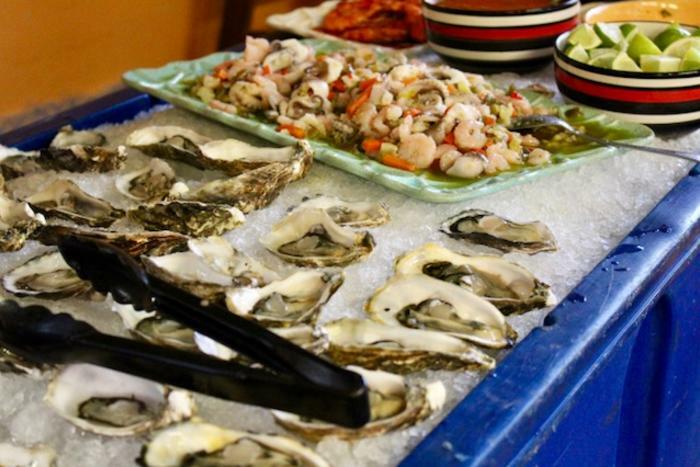 Coming in at under $30, brunch goers can enjoy an authentic Veracruz seafood buffet complete with street corn, fresh oysters, ceviche, paella and more. See here fore a full list of places to dine in Kansas City, KS. Don&apos;t miss out on a single blog post! Subscribe to our monthly blog e-mail here.